When the President of the United States repeatedly says he’s got your back, and in precisely those words, what more can you ask for? Yet as I read Obama’s interview with Jeff Goldberg in The Atlantic, then his speech to the AIPAC convention, and finally reports of his meeting with Netanyahu, I felt increasingly uneasy. True, Obama went farther than he ever has in reassuring Israel of his commitment to stopping a nuclear Iran. He explicitly mentioned the military option. He upheld Israel’s right to defend itself. He articulated the reasons why a nuclear Iran would be disastrous—from an accelerated nuclear arms race in the Middle East to the threat of a nuclear suitcase in the hands of terrorists. He affirmed, in other words, what we in Israel have been warning about for years. Why, then, the unease? Because Obama wasn’t speaking primarily to Iran but to Israel. Even when he seemed to be warning Tehran, he was really warning Jerusalem. His goal these last days hasn’t been so much to deter them but us. The headlines got it right: Cool down the war talk. Give sanctions—and diplomacy—a chance. If this were, say, two years ago, that would be a reasonable request. But it has taken Obama the better part of his first term to finally put in place serious sanctions—and at this late date, the sanctions may still not be strong enough to work. Speaking to AIPAC, Netanyahu implicitly responded to Obama: We gave diplomacy a chance for a decade, and sanctions for the last six years. If you’re asking for more time—when we are now looking at Iran achieving nuclear capacity in months rather than years—the sanctions had better be tougher. Obama’s main argument for why Israel and its American friends should trust him on Iran is because he has been Israel’s most dependable ally all along. Look at my record, he’s argued. I believe Obama is a friend—but a problematic friend. True, security cooperation with Israel has been excellent, which is at least partly a result of George W. Bush’s agreement with Israel to enhance military cooperation over this decade – though Obama went farther than Bush in one crucial respect, providing Israel with bunker busters, which Bush withheld. Still, in recalling his record, Obama omitted some crucial details. Israelis still recall with disbelief how Obama refused to honor Bush’s written commitment to Ariel Sharon—that the U.S. would support settlement blocs being incorporated into Israel proper. And never has an American president treated an Israeli prime minister with such shabbiness as Obama has treated Netanyahu. Indeed one gets the impression that of all the world’s leaders, Obama most detests the prime minister of Israel. 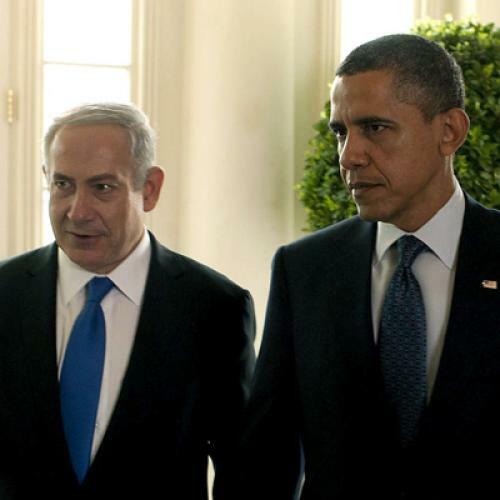 Consider how Obama squandered Netanyahu’s ten-month settlement freeze. Rather than pressing the Palestinians to return to the negotiating table, Obama provoked an ugly public fight with Netanyahu over building in a Jewish neighborhood in East Jerusalem. The message conveyed to the international public by that and other humiliations was that the special relationship was fraying. Obama’s resolve on Israel often comes too late, an attempt to compensate for his own clumsiness. Like his speech defending Israel to the U.N. General Assembly last September. It was a powerful speech—I wrote about it enthusiastically in TNR at the time. But in retrospect the speech was irrelevant. Except for the Jews, no one seemed to be listening. In the Arab world the speech was dismissed as electioneering. The missed moment was as much a part of the story as the speech itself. That was the speech Obama should have delivered in Cairo in 2009, when he had the attention of the Muslim world. Instead, he squandered a historic opportunity to affirm Israel’s legitimacy, and by the time he did deliver the right speech, it was too late. All too often that defines Obama’s relationship to Israel. He finally says the right thing and it no longer matters. Because the context is wrong. Or the timing. Or because he seems to be addressing one audience while in fact addressing another—like seeming to talk tough to Iran while in fact trying to restrain Israel. Nor does Obama’s record in the Middle East more broadly reassure Israelis. Perhaps the worst moment of his presidency was turning his back on the Iranian anti-government demonstrators in 2009, who chanted “Obama, are you with us or with the regime?” Obama’s silence was a historic missed opportunity. So is his current inaction on Syria, Iran’s most important ally. There appears to be no strategic coherence in his Middle East policy. Why, for example, help bring down Qaddafi, as odious as he was, after he had abandoned his nuclear program and his support of terrorism—while allowing Assad a free hand? Instead of the increasingly harsh warnings we’ve been hearing from Washington in recent weeks against a preemptive Israeli strike, we are now being overwhelmed with reassurance. In fact that has been the pattern in Obama’s relationship to Israel all along: first abuse, then flowers. Even with all the current goodwill, there was a nasty undertone to Obama’s message. It was this: I believe in a peaceful resolution to the Iranian crisis, while you Israelis are pushing for war. Those who opposed sanctions in the past and now accuse Israel of war-mongering share at least some of the blame for the current crisis. Since 1993, when Yitzhak Rabin first defined the Iranian nuclear threat as the ultimate existential challenge facing Israel, successive Israeli governments, along with pro-Israel American Jews, have advocated sanctions as the way to avert a choice between preemptive strike and a nuclear Iran. It took five years before the Clinton administration accepted Israel’s assessment that the goal of Iran’s nuclear program was a bomb; and it took Europe a few years longer. And then it took nearly a decade before the international community adopted the Israeli position of real sanctions. Even at this late date, that remains the Israeli position: Only devastating sanctions can break the regime’s determination to produce a bomb. When Obama complains that war talk has forced up oil prices, what are Israelis to conclude except that he will not push sanctions to the limit? For me to trust Obama on Israel’s ultimate security threat, I need him to speak directly to Iran, not to American Jews and the Israeli public. I need to know that he is as committed to a military solution as he is to a diplomatic solution, if the first option fails. I need to know what his red line is for determining when diplomacy has exhausted itself. Most of all, I need to know whether he is prepared to live with Iranian nuclear capability, just short of developing a bomb—a position he hinted at in his AIPAC speech, when he repeatedly spoke of opposing Iranian nuclear weapons, rather than the capability to produce those weapons. Mr. President, I’m not reassured. On this one I need to watch my own back. Yossi Klein Halevi is a contributing editor for The New Republic and a fellow of the Shalom Hartman Institute in Jerusalem.